When purchasing a property for the first time, the deposit often seems like the most difficult obstacle to overcome. After all, even with the Help to Buy scheme, a 5% deposit on a £150,000 property currently stands at £7,500. 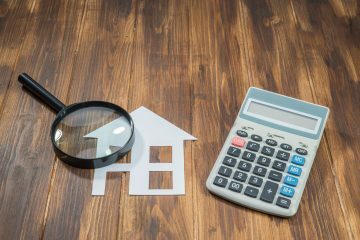 Unfortunately, with legal fees, stamp duty, and removal costs to consider, the deposit isn’t the only monetary hurdle facing home buyers. In this post we’ll run through the various costs first time buyers need to take into account during the home buying process. When applying for a mortgage, you’ll be expected to pay booking fees, arrangement fees, and possibly a valuation fee. Arrangement fees are paid to your lender to cover the cost of administration. The amount required will vary between lenders, but you can be charged anything up to £2,000. You can usually choose between paying the arrangement fee upfront and adding it to the mortgage. However, if you do decide to add it to the mortgage it will cost more in the long run as you’ll pay interest on it. Booking fees are also paid to the lender but they’re usually charged upfront at around £100. A valuation is conducted by your lender to assess the property’s value and decide how much they’re prepared to lend you. Valuation fees vary between lenders and the price will usually be decided as a percentage of the property’s value. However, some lenders may not charge you for this at all, depending on the type of mortgage you select. If you have a high loan-to-value ratio, your lender may decide to charge you a fee to cover insurance. This type of insurance is designed to protect the lender in the event you’re unable to pay back the loan. When buying a home, you’ll need to seek the help of a conveyancing solicitor to undertake all the legal paperwork for you. The legal process will include local searches and registration with the Land Registry. These legal fees are usually charged as a percentage of the mortgage price and can cost upwards of £500. Mortgage brokers aren’t essential, but they can be incredibly valuable when it comes to finding the best mortgage for you and your circumstances. A broker will know the market like the back of their hand and will be able to recommend the lenders with the best deals. They can be particularly helpful if you’re concerned about your credit score or ability to get a mortgage. If you apply for a mortgage directly with a lender but you’re rejected, your credit score could be affected. However, equipped with extensive knowledge, a broker can warn you not to apply with particular lenders if they believe you won’t meet their criteria. Mortgage broker fees tend to cost around £500. Although your lender will provide you with a valuation, it’s widely recommended you have a thorough property survey too. A property survey will assess the condition of the property and highlight any issues that could prove costly. There are two main types of survey – a home buyer’s report and a building survey. A homebuyer’s report is likely to cost between £350 and £1,000 and will cover the general condition of the property. A building survey will cost between £500 and £1,300 and will provide a more in-depth assessment of the building’s structure. If the property you’re buying costs more than £125,000, you’ll need to pay stamp duty. The amount you pay will vary depending on the price of the property you’re buying. For example, someone purchasing a property for £130,000 will pay less stamp duty than someone buying a £255,000 home. If you’re currently living in a rented property that was unfurnished when you first moved in, you’re likely to need a removal van to transfer your furniture from your current home to your new one. Removal companies can cost anywhere between a couple of hundred pounds into the thousands depending on the business you select, the amount of furniture you wish to move, and whether you wish for someone to pack your furniture for you. We recommend comparing removal quotes before making a decision. Jenni is a blogger, copywriter, and first time buyer based in Manchester. On a mission to save a deposit for her first home, Jenni started blogging about her money-saving efforts in 2014. Since then she's been featured in a number of newspapers, magazines, and radio programmes. Equipped with both journalism and digital marketing experience, she enjoys writing about a wide range of topics but has a particular love for creating personal finance and property-related articles.